Okay, everybody. I hope you're ready for some fun literary performance art. If you're new to my work, or don't check the blog regularly, you may not have tagged along with my November tradition before. Basically, November is that hellish time known to writers, both amateur and professional, as National Novel Writing Month, or NaNoWriMo. The goal is simple: Write a 50,000 word or more novel in a month. My take on it is a little tougher. Write a 50k word novel in a month, while posting a chapter on my blog and Wattpad daily, as it's written. The magic of almost any story happens in rewrites, and these drafts are a little rougher than the final kindle-ready project. But it's fun, and gives me great motivation to share new stuff with you. Last year's NaNo project, Twist was a blast to write, and is still up for perusal in the sidebar categories. The year before that was The Singularity, and the year before that was Banksters. As you can see, I have a long and storied history of letting it all hang out to show you my writing as it takes shape. 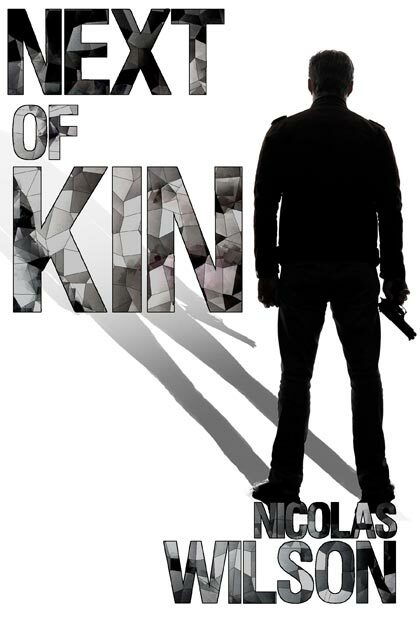 Starting November 1st, I will be serializing Next of Kin daily. Conrad's brother died by violence. Not that this is a surprise- the man ran with criminals for years. But new laws passed after a spate of police corruption scandals and budget cuts say that as the next of kin, Conrad is responsible for investigating the crime to the satisfaction of overseers peeping through his neural implants. His watchers are almost as fickle as the criminals he tracks, and as he plunges into his brother's life and demise, Conrad finds his own held hostage. I'll see you November 1st!